The High Alumina Bricks manufactured by Durga Ceramics are the end result of blending excellent quality raw material with cutting edge technology. 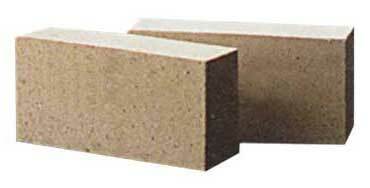 We make sure that the High Alumina Fire Bricks offered by us have gone through all the quality control parameters for maintaining their high quality standard. Their durability and strength adds life to the structure and they possess the capacity of bearing high temperature. Our company is well reckoned as one of the accounted Fired High Alumina Bricks Manufacturers in the market. DC -70 70 3.50 2.65 23 500 1800 1450 ±1.0 @ 1450oC Working lining of steel Ladle upto 60 T capacity, Cement Rotary Kilns. DC -80 80 2.00 2.80 23 500 1800 1600 ±1.5 @ 1500oC Working lining for RF/VAD/VOD, cooler of Cement Rottery Kilns.